Imagine having the chance to sit down and rub elbows with Kim Kardashian West while trading routines and mirroring her exact technique. This was the reality for YouTube beauty vlogger Jaclyn Hill, who just so happens to have produced the first KKW lip kit tutorial the kontour kween ever watched. Both beauty moguls recently collaborated on a video demoing an entire beauty look (with a focus on Kim's new Crème Contour and Highlight Kit, of course, which is till sold out—womp, womp), and since most everything Kim touches turns to solid gold, the video already boasts over 2.5 million views. We've seen a few tutorials from Kim prior to this, but this particular video is a rawer, true-to-self look inside her makeup bag. 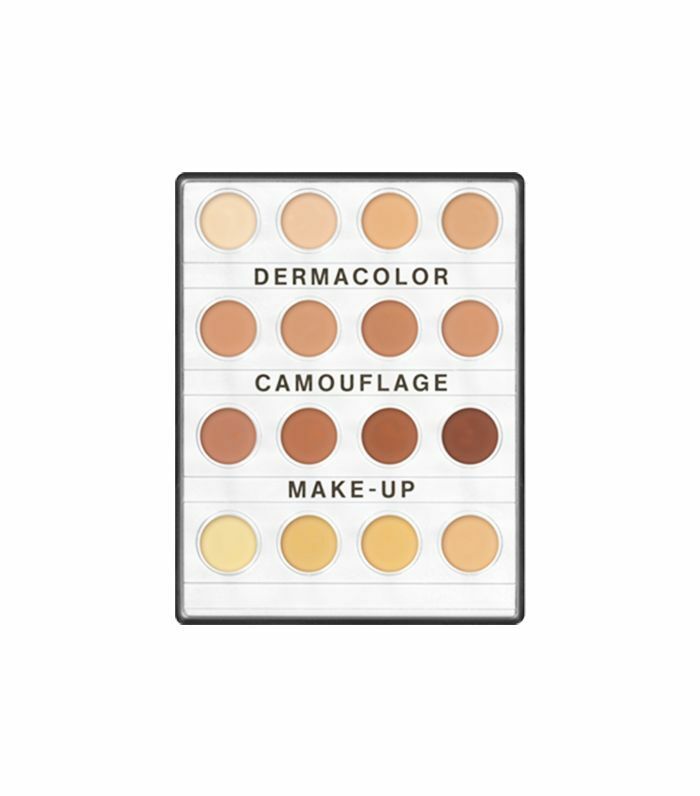 Particularly when it comes time for concealer, instead of whipping out a pricey formula, Kim explains that she "doesn't even know what concealer color she uses" and mixes shades from the Dermacolor Camouflage Creme Mini-Palette ($33) for a "dry" base (the formula is quite thick and dries quickly). 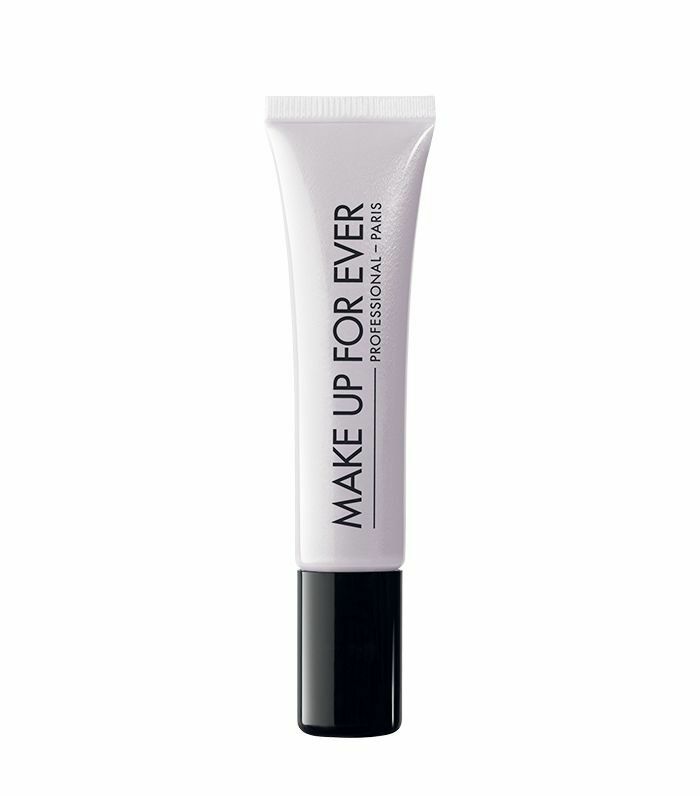 This is applied with a small concealer brush in an upside-down triangle shape underneath her eyes. 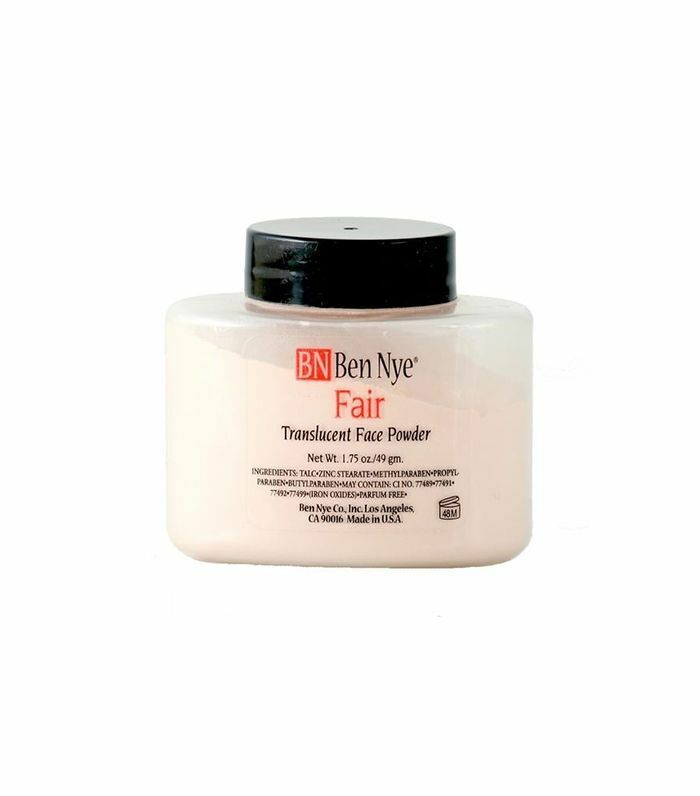 She then applies Make Up For Ever Lift Concealer ($26) on top of the Dermacolor and bakes both of them with Ben Nye Fair Translucent Face Powder ($11) and a wedge sponge. After letting it sit, she dusts off the excess powder with a large flat brush. While this may be Kim's go-to routine, she says longtime makeup artist and friend Mario Dedivanovic would "die" if he saw what she was using: "They're so our old-school situation that he would literally … he can't believe that I use [them]." The final result is pretty stunning per usual, though, so different strokes for different folks, right? Shop Kim's under-eye must-haves below. Up next, read our exclusive interview with Kim, in which she shares her best contouring tips.